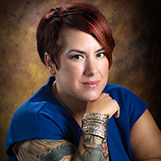 My name is Kimberly Creekmore, Owner of HairLoveDesignLLC and founder of Salon Professionals of San Diego. I have been in the beauty industry for 10 years. If you ask my family and my friends, they would tell you that I have been doing hair for as long as someone would let me get close to them with scissors, hair color or a pair of clippers. I am passionate about my industry and even more passionate about taking care of my clients and friends. I wanted to start addressing some common questions and problems that people have when visiting their hairdresser. I asked my clients, friends, and Facebook followers to help guide this and the next four articles that I will be sharing with you. The second most requested topic: salon products vs. the grocer. With so many options on where to buy your home hair care products it is no wonder so many people are overwhelmed when choosing their shampoo or styling products. Marketers are experts at choosing colors, branding layouts, and key words to grab your attention. Big name stores will carry approximately 600 different kinds of shampoo, conditioner and styling products, and this doesn’t include the different skin care options available. Some claim to be a variety of things, for example sulfate free, organic, alcohol free etc; but what does it all mean and how does it affect you? Why getting your beauty care products from your hairdresser takes away the stress of searching through countless products, disappointing results, and brand bombardment. Your stylist knows your hair. This gives them a strong understanding on what products to recommend. If you have fine, frizzy hair and desire volume. A volumizing shampoo may create more frizz, but using a light smoothing shampoo with a volumizing spray, will create volume in the desired areas. Your stylist should be able to come up with the best possible solution. The number one complaint I hear from new clients is that they can never get their hair to look the same when they get home. They often feel intimidated when trying to recreate the look with the products already on their vanity. Most salons provide brand product knowledge training for their stylists. Training makes the stylist an expert in that brand. This allows stylists to make accurate recommendations based on hair type, and manufacturers’ direction. In order to get the best at home styling experience, it is recommend that you purchase the items used to create your style. I like to think about beauty products like ingredients, you’ll need to start with a quality shampoo/conditioner, something for smoothing or volume, and you may need a finishing product like a shine or hairspray. If you opt to use something from a big name store that leaves a buildup and use that finishing shine from your hairdresser, the combination may leave your hair greasy and unmanageable. However, if you purchase the recommended shampoo and conditioner with the finishing shine, your result at home will likely be successful. You can compare shampoos like you can compare a cheap bottle of wine to a more expensive bottle. Both are made from similar ingredients and processed similarly. Like with shampoo, a higher end salon product will use quality ingredients. It will have less fillers, be gentle on the hair, and won’t create buildup. Professional brands tend to be highly concentrated, you need less, and waste less. Is that sulfate free, color safe, $4 bottle of shampoo really making your color stay? Any professional brand bought at a big name store or on Amazon may not have the same constancy, concentration, or color you would get when you are purchasing directly from the salon. Products may be old and often are more expensive at a big name store or on Amazon. Your hairdresser works everyday with the salon product and gets real life results and feedback on how it works. Since most salons are operated by local small business owners, your purchases help keep that small business thriving. Product sales make up 5-15% in business revenue. This income can go towards bringing in more eduction, or just help keep the salon afloat. Even when the convenience of shopping big name stores can out weigh that trip to the salon. While some of the alcohol in your product can cause dryness in your hair and on your skin, alcohol may also trap desired moisture and create healthy barriers on the hair that will provide the look you want. Lanolin alcohol: emollient, emulsifier May cause allergic reaction in some people. Parabens are widely used in hair care products as a preservative. Recently they have been associated with being “estrogen disruptive” and have been found present in some malignant breast tissue. However the U.S Food and Drug Administration and the world health administration deems them safe at low levels. That being said, when you are typically using over 15 different hair and skin care products during the day, how can we know that we are staying at safe levels? The most common are butylparaben, methylparaben, and propylparaben. What is a sulfate and why is it bad? Sulfates are cleaning agents (detergents) a you will find them in most industrial and home cleaning products, also know as sodium laurel sulfate (SLS). *The FDA grants the Cosmetics Industry the right of self regulation. They can use almost any product for their shampoo as long as it is not in itself known to be carcinogenic. When purchasing your home hair care products, it’s hard to say products from the big name stores are bad. Any soap will do the job of cleansing the hair. But keep in mind that if you want to make sure you have quality products that don’t create buildup, have products that are custom picked for you based on your hair needs, you will need to consult your hairdresser. Please support your hairdresser and in turn your hair will be healthy, soft and shine! Keep a jar on your vanity, and use the saved change for more expensive products. Finally an explanation that makes sense!